On Thursday, 5th October, we welcomed Michael Sansom, G0POT to our club. 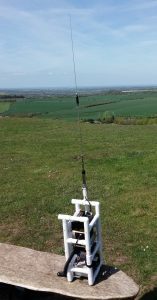 Michael is a keen SOTA operator and he will be giving us a presentation on the subject as well as bringing along some associated items which he uses. SOTA or Summits On The Air is an award scheme originally devised in 2002 and launched in the UK. 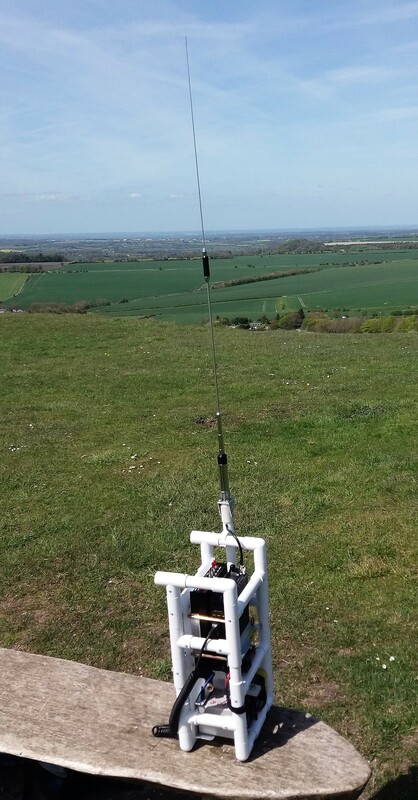 Since then, the scheme has gone worldwide and has thousands of operators across the globe who can partake by either working the SOTA stations from home (Chasers) or taking to the hills and mountains with a radio to ‘activate’ a summit (Activators). Of course, it is possible to work towards both awards, with the main Chaser award being known as the ‘Shack Sloth’ for 1000 chaser points and the ultimate Activator award being the ‘Mountain Goat’ for 1000 Activator points. Many other award certificates are available before and after the 1000 point marks, making it a great scheme to operate in. The rules can be quite complex, but Michael will guide us through what can be achieved with the scheme. Unfortunately, Wiltshire is fairly devoid of any qualifying summits, but we do have several 1 pointers fairly close by such as Walbury Hill near Hungerford and Cleeve Hill near Cheltenham. Each summit can only be activated by an operator once a year though, so a ‘Mountain Goat’ might take some time only doing 1 pointers!